Gapers Block - To be Demolished: 8147 S. Burnham Ave. This property received a vacant and abandoned building request on May 4 after being the subject of a foreclosure on January 3. 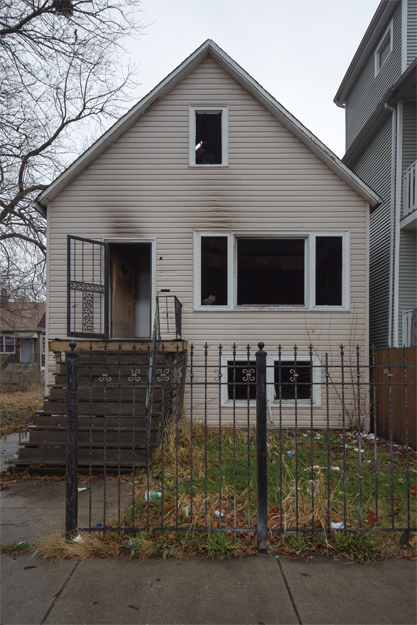 It is currently erroneously listed as vacant land by the Cook County Assessor's Office. Note the cat in the entrance floor window.